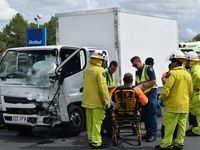 Northbound traffic is blocked in Gympie following a crash on the Bruce Highway. 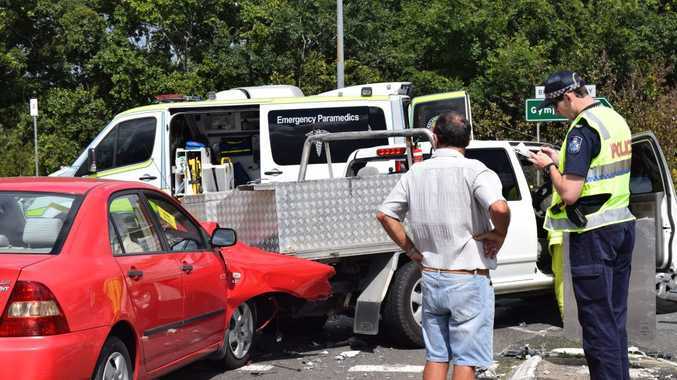 THE Bruce Hwy is now open after an accident involving three vehicle saw traffic blocked. One man was taken to the Gympie Hospital, suspected to have a minor fracture. 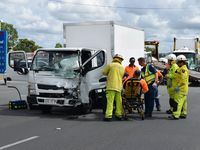 NORTH bound traffic through Gympie is blocked while emergency services deal with a multi-vehicle crash at the interesction of the Bruce Hwy and Brisbane Rd on Gympie's southern outskirts. 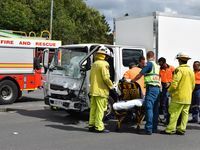 A small truck and two cars are involved in the accident and it is unsure yet if anybody has been seriously injured. Motorists are advised to use alternate routes while the north-bound lane of the highway is closed to traffic.